Sofas and Chairs are a great addition to a living room, Whether you’re looking for cozy Sofas and Chair or stylish Sofa and Chair, you’ll find everything that you need for your space. Come and browse through our extensive range of Coco Enterprises Sofas to find the perfect piece for your living room. Shop More and Save More!! 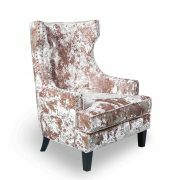 View Basket “Champagne Crushed Velvet Royalty Armchair” has been added to your basket.